The markets will start the week by breaking down every word coming from the Berkshire Hathaway shareholder meeting. Inflation data is on tap for later this week, and we have a full slate of earnings reports again coming from the likes of Nvidia, Disney and Valeant Pharmaceuticals. Dividend seekers should stick to tried and true strategies that have delivered results over time and don't count on quirky gimmicks to improve yield and limit risk. Here are three dividend ETFs to keep an eye on in the near future. Investors don't usually think about dividends when they invest in tech stocks but that doesn't mean that the opportunities aren't there. 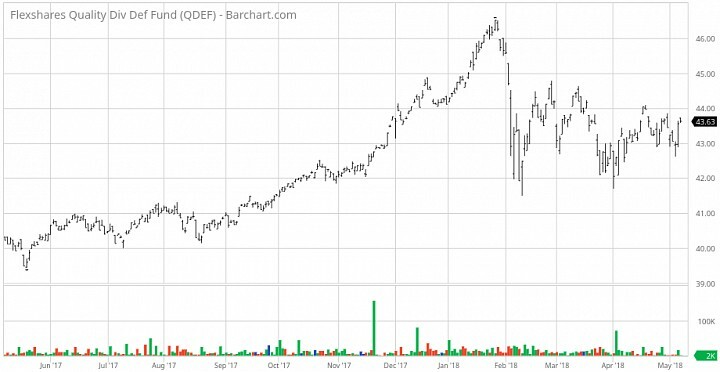 This fund invests in tech stocks using a dividend value-weighted methodology. Despite holding up to 100 names, more than 40% of assets are dedicated to just five companies - Intel, Microsoft, Apple, IBM and Cisco. Its 2.6% dividend yield easily tops the 1.9% yield of the S&P 500. As you might expect, this is a conservative version of the tech sector. It stays away from companies, such as Facebook and Alphabet, so upside gains can be limited. Also, the fund's 0.50% expense ratio won't do the fund any favors. Over the past five years, TDIV has beaten the S&P 500 86% to 83%. Instead of using a traditional market cap weighting methodology, RDIV weights by annual revenue. This helps limit some of the portfolio's volatility by avoiding using share price as a factor and using a more steady measure. This fund invests in the securities in the S&P 900 with the highest trailing dividend yield. Each of these securities is then weighted by top line revenue, instead of market capitalization. The resulting portfolio is a collection of companies that have been out of favor, beaten down and unloved. 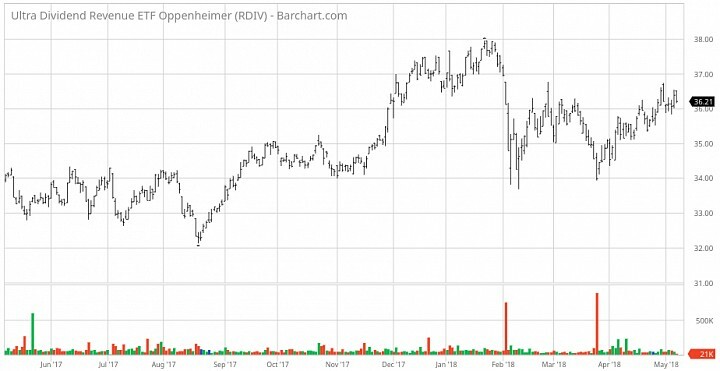 Instead of names, such as Apple, Microsoft and Alphabet heading the top holdings list, RDIV has names such as PBF Energy, Macy's, CenturyLink, Southern Company, Duke Energy and Ford Motor. You have to be a bit of a contrarian value investor to appreciate RDIV, but investors that have weathered the storm have indeed been rewarded. 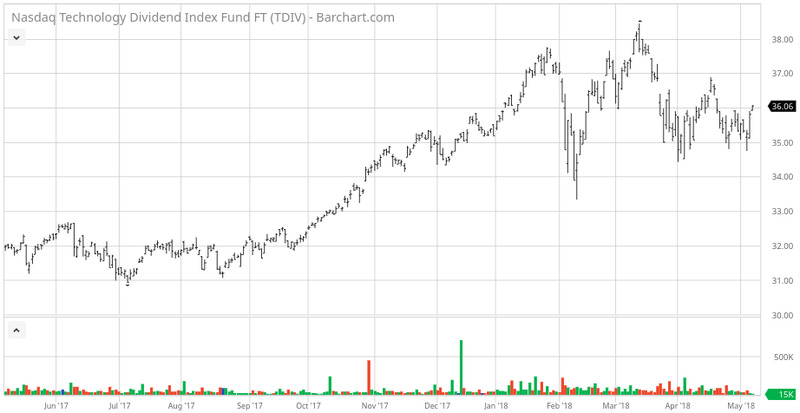 RDIV has trailed the S&P 500 74% to 72% since the fund's inception, but that return is well ahead of the average value fund. RDIV carries a 5-star Morningstar rating in the Large Value category. Its current yield is over 5%. With interest rates on the rise and growth forecasts beginning to cool a bit, it's worth wondering if investors should be taking a more defensive positioning. Momentum names have led the charge for a while, but the economic backdrop could begin favoring value stocks once again. FlexShares quality dividend methodology does a great job of identifying companies that are backed by financial strength as measured by profitability, cash flows and management expertise. It targets U.S. equity securities with a targeted overall volatility that is lower than that of the Northern Trust 1250 Index. The fund's top holdings include Boeing, Pfizer, ExxonMobil, Apple and Wells Fargo. It has a yield of 2.7%.